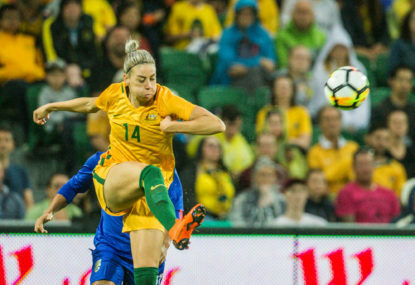 The Matildas will be looking to bounce back from their unlikely 2-3 loss against Chile when the two nations meet again in Newcastle on Tuesday at 7:30pm AEST. Join The Roar for live scores and a blog of the match. 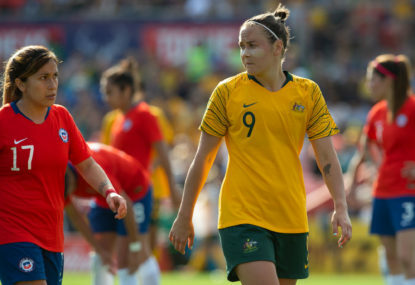 The Matildas welcome Chile to the Penrith Stadium on Saturday for the first ever match between the two sides as part of the Seven Consulting International Series. Join The Roar for live coverage from 3:30pm (AEST). 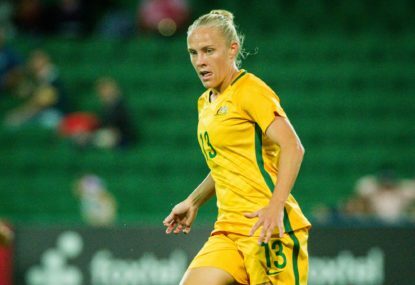 Matildas coach Alen Stajcic has called on his big guns for back-to-back games against Chile in Penrith and Newcastle later this month. 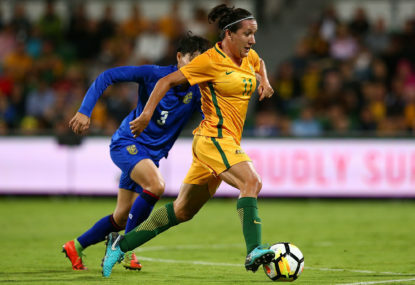 Our Australian women’s football team, the Matildas, are set to take on France in an international friendly set to kick-off at 5am (AEST) on Saturday, October 6. 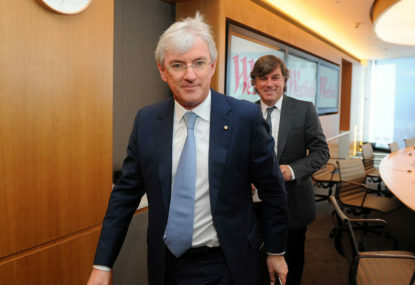 On Tuesday, during one of the most extraordinary press conferences, the Chairman of the FFA board expressed his intention to step away from the game. The last two years have heralded in the greatest revolution that has ever struck Australian sport. So, FIFA’s ‘The Best’ awards weren’t exactly the best. 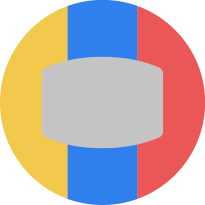 When the Socceroos exited Russia in the group stage winless at yet another World Cup, questions were raised if Australia would ever be competitive at a soccer World Cup. 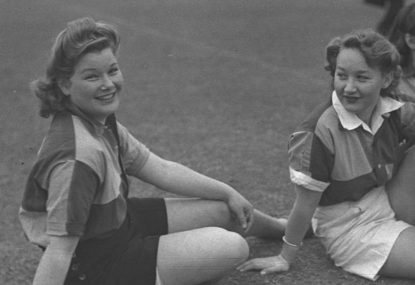 Women’s football in Australia continues to take huge strides forward as the Matildas position themselves as not only participants but contenders at next year’s FIFA World Cup, in France. 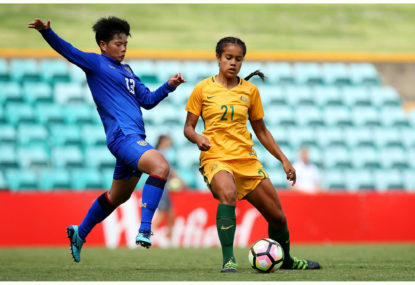 The Matildas face Japan in their final match of the Tournament of Nations in Illinois. 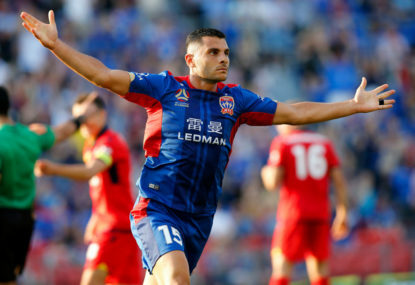 Join The Roar for live scores and commentary from 7:45am (AEST). 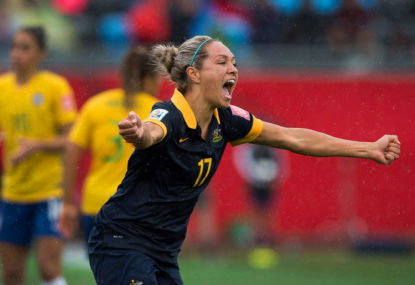 Match result The Matildas have been held to a 1-1 draw by the United States in their second Tournament of Nations match, a late equaliser to Lindsey Horan cancelling out Chloe Logarzo’s first-half opener. 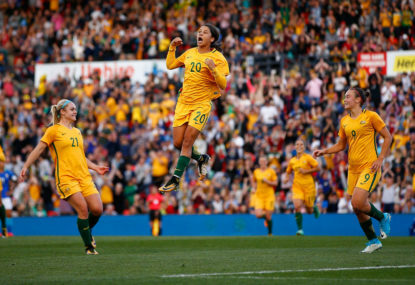 Match result: The Matildas have beaten Brazil for the fourth straight time, putting in a dominating performance to pick up a 3-1 victory in Kansas City to open the Tournament of Nations. 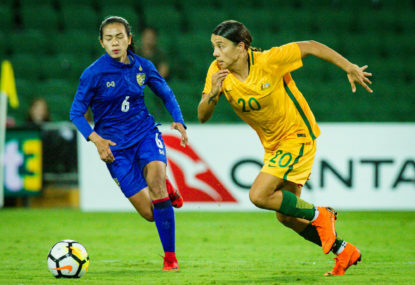 After winning last year’s inaugural competition, the Matildas will look to hold onto the Tournament of Nations crown when they take on Brazil, the USA and Japan. 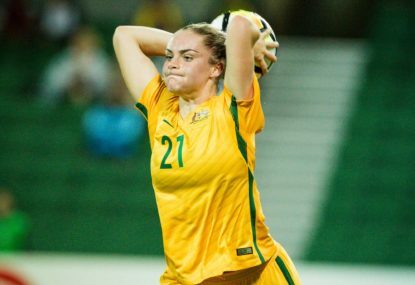 The Matildas have added one more player to their Tournament of Nations squad – a 15-year-old wildcard who coach Alen Stajcic rates as the most talented prospect he’s seen in women’s football. I received a text message on Monday morning, right after my live blog of the thrilling draw between the Matildas and the USA.